Lentils are the pulses that people have been eating for centuries. They are easy to harvest and the food is extremely healthy. Lentils are grown in many areas worldwide but according to the FAOSTAT report, the majority of lentil crops come from Canada, Australia, and India. There are more than 15 kinds of lentils and every single one of which is rich in vitamins and minerals. However, the most common types of lentil are french green, red and white. maintaining healthy weight and many other things listed below. ​100 grams of cooked lentils provide around 116 calories. Eating lentils is extremely healthy and it might be one of the best foods you can add to your ration. Here are 12 amazing health benefits of lentils that you need to know. Lentils contain a lot of fiber which is essential for keeping your heart healthy. They are rich in magnesium, potassium, fiber and calcium. This doesn't only sound healthy, it really is. All the minerals and vitamins that are found in lentils will balance your blood pressure and lower your risk of having a heart attack. Kidney stones are not good news for anyone, so it makes sense to think about prevention now rather than spend money and time on cure later. When it comes to preventing the formation of kidney stones, the best foods are oranges, yogurt and of course lentils. Turns out, if you eat right foods, you can reduce the possibility of having a stroke and having troubles with blood pressure. At first, it might seem that eating those small seeds won't be good for your weight. But, wait, they contain a lot of fiber, protein and all sorts of vitamins and minerals that are a key for a healthy and fit body. If you count your calories intake (definitely, you should), then note that one portion of lentils will get you around 116 calories. ​And one thing, we are talking about all kinds of lentils here, so it applies to brown, red, green lentils and all the other types. Also keep in mind that this pulse is equally beneficial to those who want to maintain their healthy weight as well as who want to lose some. Before picking the right amount of lentils for you, make sure you know what is good for your diet. Apart from that, the pulse contains prebiotics that are essential for our guts. Lentils are a nutritional treasure for your colon health. Consuming lentils assures you that you're doing good for your body. If you have diabetes, consult your doctor to make sure you consume the right amount of lentils for you. How can a cup of lentils deal with depression you might wonder. Well, you see, lentils contain B vitamin which plays an important role in your health. So consider including this pulse into your ration if you want to kick out fatigue and stress from your healthy life. Of course, we all want our minds to stay sharp and calculative, so everybody looks for ways to maintain our brain in a healthy condition. ​Turning out eating lentils is an excellent choice for it. Because, folate, magnesium, zinc, iron are critical to brain health and they are available in good amounts in lentils. Also, there are a variety of ways to get the lentils in your diet. A fit and healthy body has a good digestive health. And for a good digestive health, we need certain minerals and vitamins that are easily available in lentils like thiamine, fiber, iron etc. Selenium is a trace element which is nutritionally essential for our life. And lentils have a good amount of selenium. In fact, a 100 gram serving of cooked or boiled lentils can charge you with 2.8 mcg of selenium. That amount is equivalent to 4% of Daily values. And the good thing is, lentils are the cheapest and easiest way to consume the right amount of selenium and avoid inflammation. Lentils are not only good for health but also for looks. 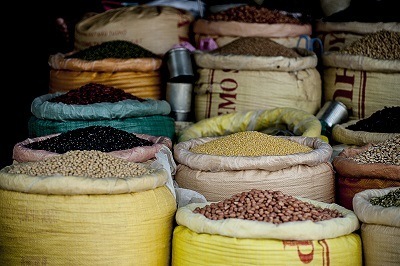 If you like to work on your body you should know that lentils are rich in protein and carbohydrates. Other advantages of lentils include low price and long shelf life. And if you are one of those busy people whose schedule include gym, work, dates, travels and other unplanned events. We have good news for you. And that is, lentils take about 5-10 minutes to cook, so it won't take much of your precious time. Last but not least, lentils are perfect foods for pregnant or breastfeeding women. Remember reading about folate levels above? High time for lentils, isn't it? If you drank or smoke before pregnancy, lentils can help get rid of the harmful effect of those habits.It absorbs all the unhealthy elements you have left in your body. It's hard to disagree now that lentils are good for your body. Experiment with it, try to add sauces to it or mix with vegetables to make it more to your liking.